Rose Petal Witch Hazel with Aloe Vera Formula has been my skin toner for two months now. I personally won this toner from @ThayersNatural’s Instagram! I was soooo excited to win it!:). Omfg was I lucky! 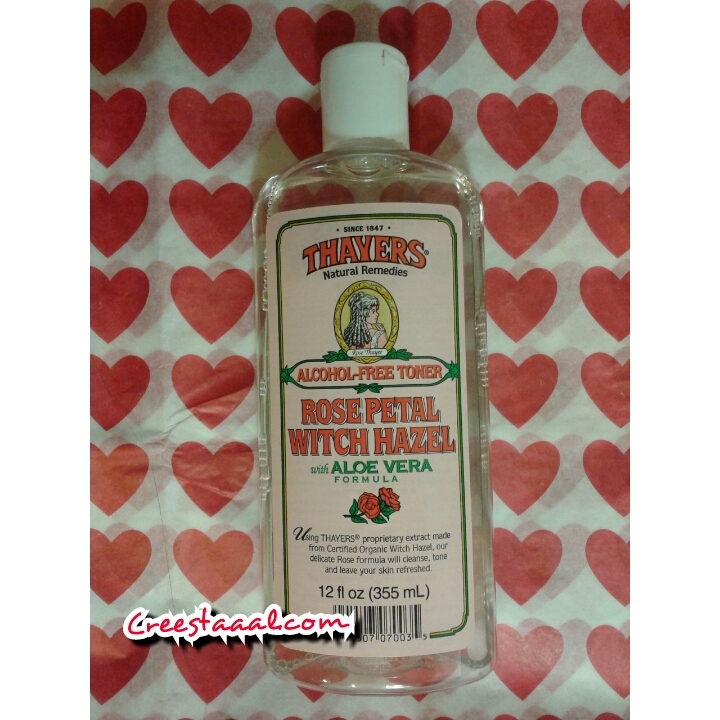 I loveeeee this witch hazel toner soooo much! * It smells like Roses! * Feels great on my face! * My boyfriend can smell the scent on my face and he loves it! * Cleans my brakes out within days. I can't wait to try other scents!!!! Posted on February 15, 2015, in Creestaaal, Vegan Friendly Lists, Vegan Lifestyle Blogger, VeganmakeupShare and tagged beauty blogger, Creestaaal, Rose Petal Witch Hazel, Thayers, Thayers Natural Remedies, Vegan, Vegan Blogger, Vegan Skincare, VeganBeauty, VeganLife, VeganmakeupShare. Bookmark the permalink. 4 Comments.